Part song, part grito, part wail, part lullaby, and part hymn, Cuicacalli / House of Song is a multi-vocal exploration of time, place, and history. Song lives within and without the poet’s physical and spiritual experience of body, of desire, of art, of loss, and of grief on an individual and communal level. Cuicacalli / House of Song sings survival, sings indigeneity, sings some part of the tattered world back together. Anthology. Perfect Bound. Aunt Lute Books, 2017. In homage to Gloria Anzaldúa and her iconic work BORDERLANDS/LA FRONTERA, award-winning poets ire’ne lara silva and Dan Vera have assembled the work of 54 writers who reflect on the complex terrain—the deeply felt psychic, social, and geopolitical borderlands—that Anzaldúa inhabited, theorized, explored, and invented. Named for the Nahuatl word meaning “their soul,” IMANIMAN presents work that is sparked from the soul: the individual soul, the communal soul. These poets interrogate, complicate, and personalize the borderlands in transgressive and transformative ways, opening new paths and revisioning old ones for the next generation of spiritual, political, and cultural border crossers. Poetry Collection. Perfect Bound. 99 pages. Saddle Road Press, 2016. 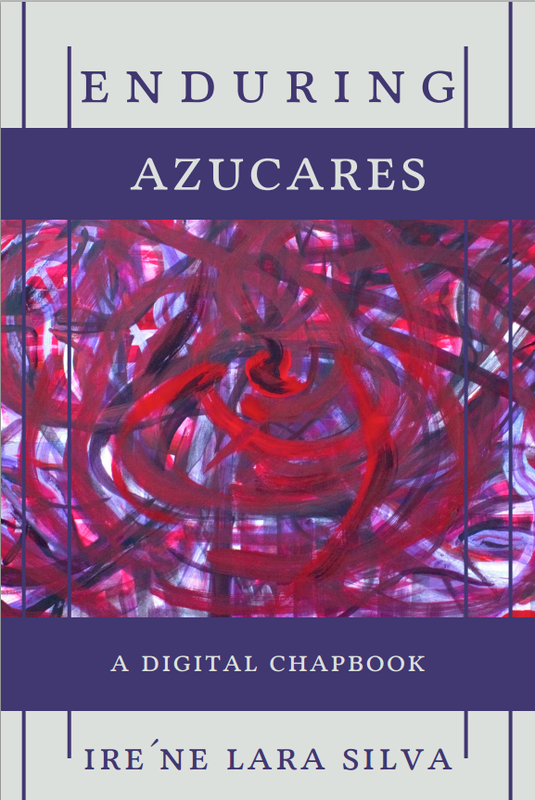 Digital Chapbook. English/Spanish bilingual. Approx 42 pages. 2015. Enduring Azucares is now available from Sibling Rivalry Press! Short Story Collection. Perfect Bound. 172 pages. Aunt Lute Books, 2013. Poetry. Perfect Bound. 64 pages. Mouthfeel Press, 2010. Poetry. Limited Re-Release. Axoquentlatoa Press 2010. (First Release: La Loba Press, 2001) Chapbook. 48 pages. Stapled. Soft cover. Appearance will vary slightly from photo. Poetry. Limited Re-Release. Axoquentlatoa Press, 2010. (First Release: La Loba Press, 2001) Chapbook. 36 pages. Stapled. Soft cover. Appearance will vary slightly from photo.